Probably our favourite new references among the novelties presented by Officine Panerai at SIHH 2016, the new Radiomir 1940 3 Days PAM00662 and Luminor 1950 3 Days PAM00663 faithfully reproduce the original models of 1940s and 1950s with the typical brown dials and Plexiglas crystals. 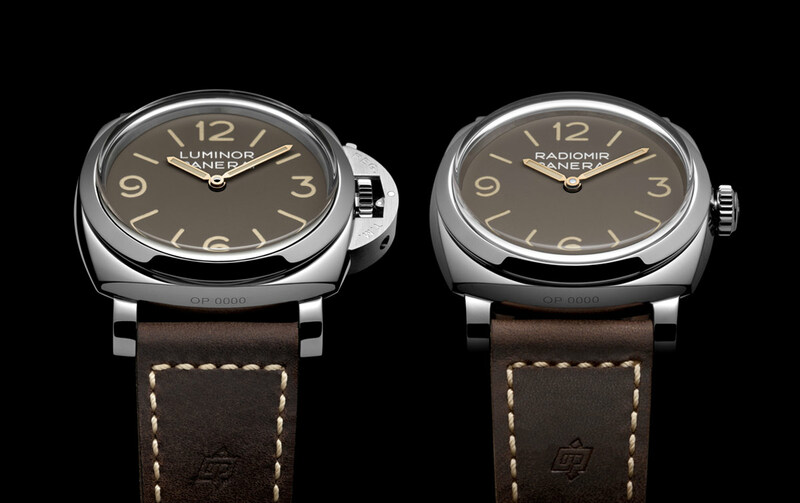 As you may have read in our History of the Panerai Luminor in-depth article, the names Radiomir and Luminor originally referred to the two luminous materials used to achieve visibility at night or underwater. The first was the Radiomir, a powder based on radium, patented by Guido Panerai in 1916 and used on the dial of the first ever Panerai watch in 1936. In the 1940s, with the growing concern and awareness about the radioactivity of radium powder, Panerai patented the Luminor, a new luminous substance based on tritium, some 20 times less radioactive. 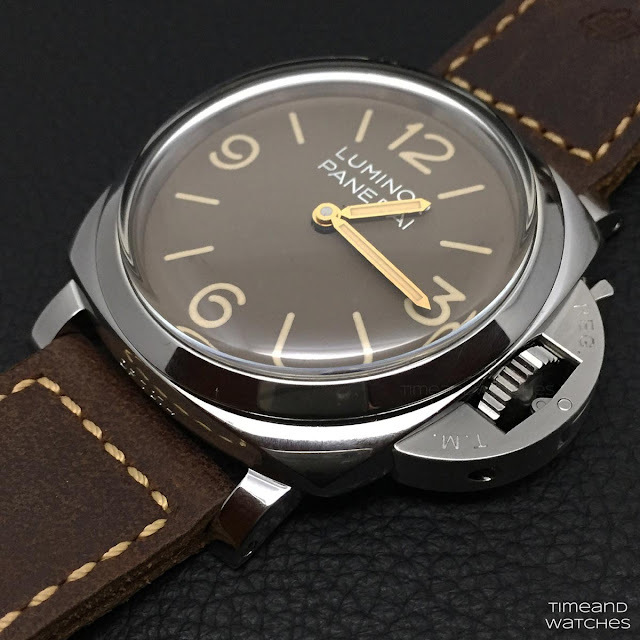 Over time, the radium-based powder – and to a lesser extent also tritium - brought a change in the colour of the dials of most vintage watches, producing the characteristic colour in various nuances. 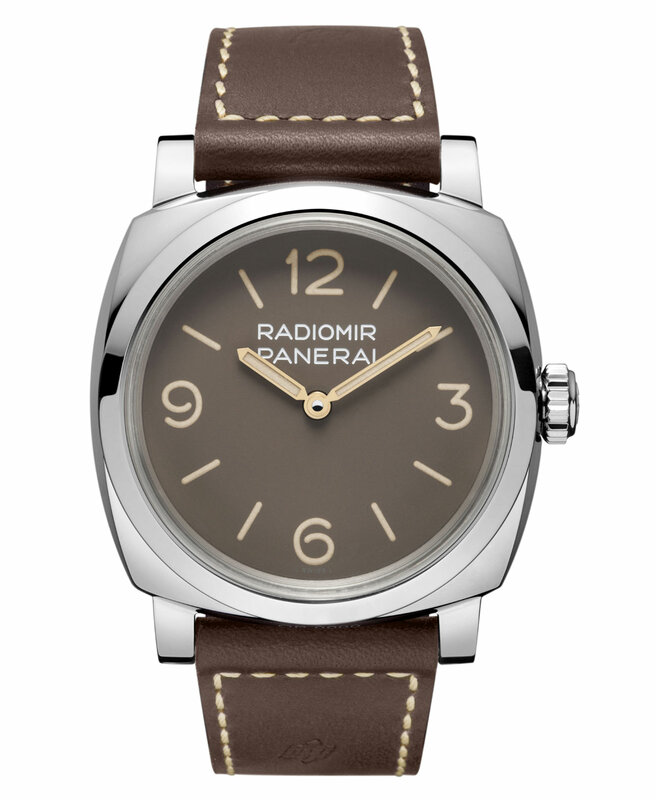 And the distinctive feature of both the new models is a brown dial which beautifully simulates the discolouring effect caused by the luminous material. 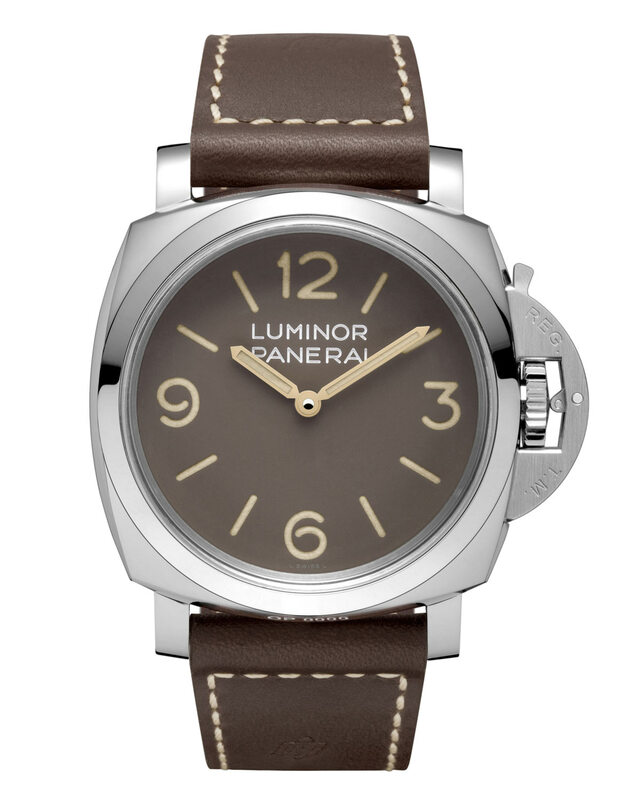 The substance used today to offer night visibility, typical of all Panerai watches, is Grade A Super-LumiNova, applied to the incisions made in the dial. To protect the dial, the crystal is made not of sapphire glass but of lightly cambered Plexiglas, as in the vintage examples where the crystal was made of polymethylacrylate. 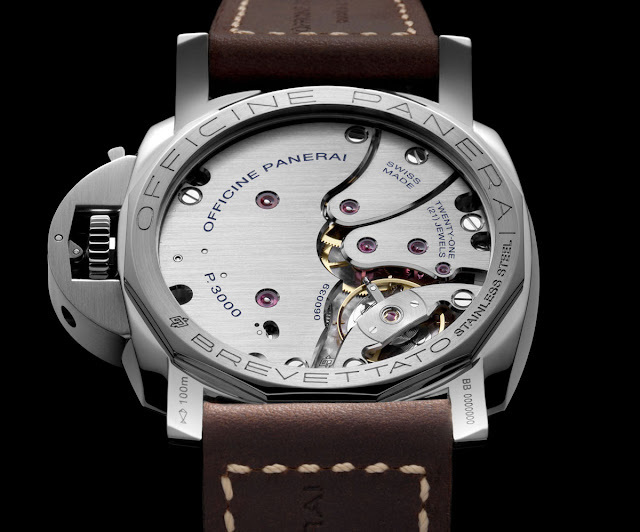 The hands too reproduce those of the period Panerai watches and the OP reference is engraved between the lugs, exactly as it was in the historic models. 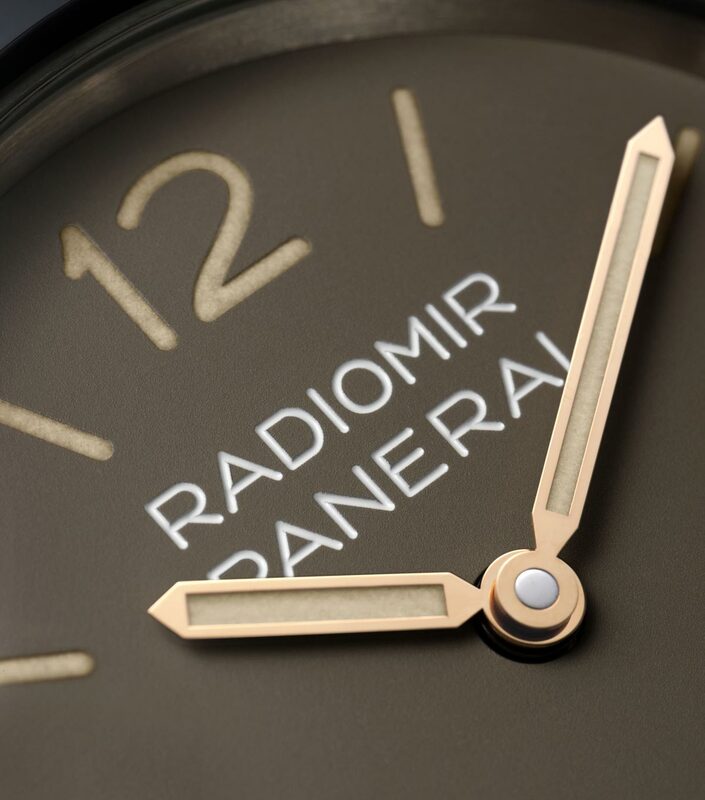 In terms of case design, the new Radiomir 1940 3 Days is directly inspired to the model known to collectors by the reference 6154 and the name "Egiziano Piccolo", of which only 30/40 examples were produced on request of the Egyptian Navy in 1954. The new model, updated to meet the current standards of high quality sports watchmaking, uses the Radiomir 1940 case (with the lugs formed from the block of the case itself) in the historic size of 47 mm and it is made of AISI 316L stainless steel with a polished finish. 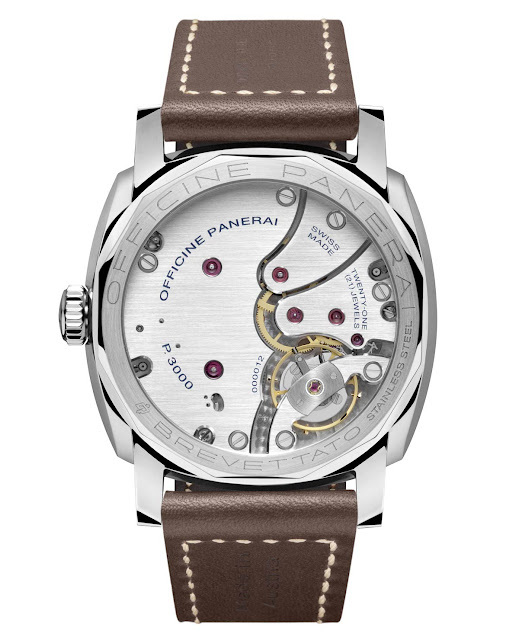 Also crafted from AISI 316L stainless steel and with a 47 mm diameter, the other special edition created by Officine Panerai is the new Luminor 1950 3 Days, immediately recognisable by the bridge-shaped device with its locking lever which exercises a light pressure on the winding crown to protect it from accidental shocks and to help ensure the watch’s water-resistance. This crown-protecting device completed the evolution from Radiomir to Luminor and was patented in Italy in 1955, although adopted years before. 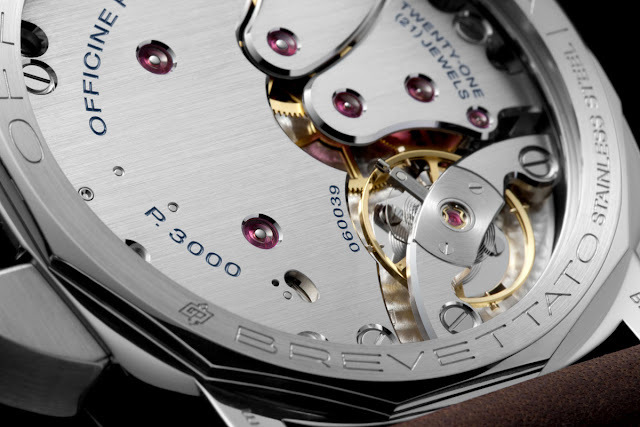 The P.3000 calibre has two spring barrels delivering a power reserve of three days and it is here presented with a new appearance characterised by four brush-finished bridges - including the one with twin supports which secures the balance oscillating at a frequency of 3 Hz (21,600 vibrations per hour) - to protect the movement. without interfering with the running of the minute hand. 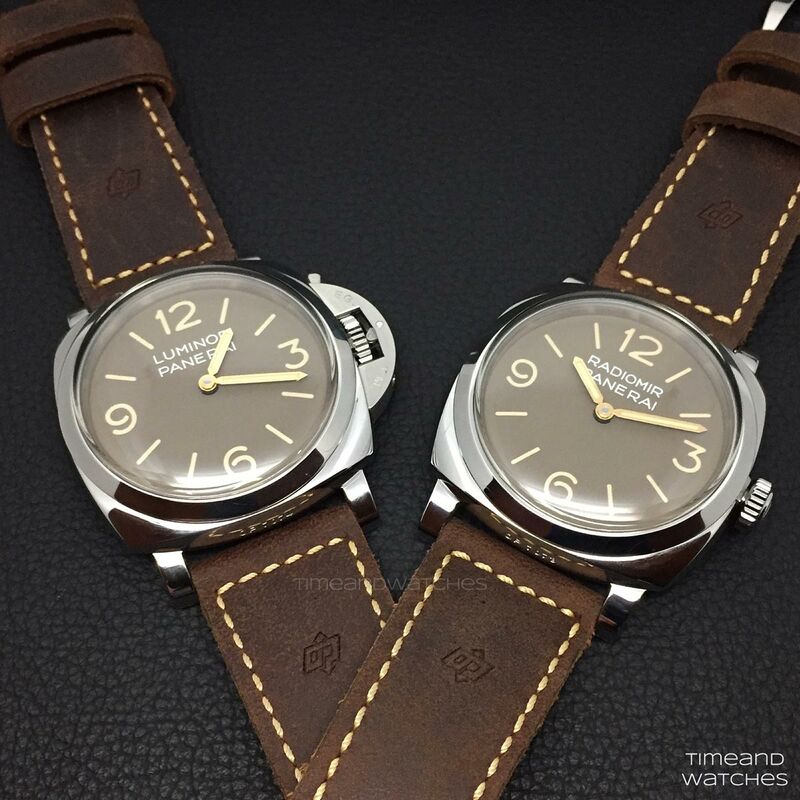 Both models are supplied with a Ponte Vecchio strap in brown leather with visible ecru sewing, the heat engraved OP logo and a tongue buckle in polished steel. 10 bar (100 metres / 330 feet). In deep love with the PAM662. A sport watch but classy! 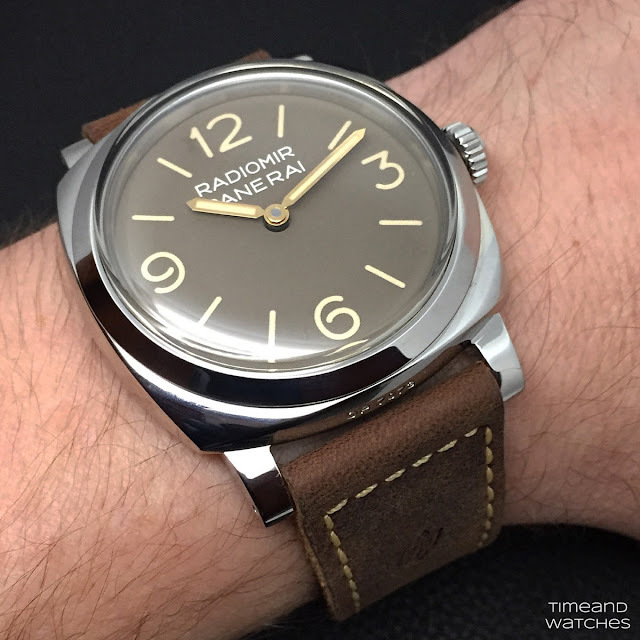 SIHH 2016: Officine Panerai Radiomir 1940 and Luminor 1950 3 Days.Probably our favorite new references among the novelties presented by Officine Panerai at SIHH 2016, the new Radiomir 1940 3 Days PAM00662 and Luminor 1950 3 Days PAM00663 faithfully reproduce the original models of 1940s and 1950s with brown dials and Plexiglas crystals. Two Special Editions of 1,000 examples each, the Radiomir 1940 3 Days (PAM00662) and the Luminor 1950 3 Days (PAM00663) have a price of Euro 9,500/US$ 9,800 and Euro 9,900/US$ 10,200 respectively.